Additional Tax Types — HTO will begin supporting Individual Income, Partnership, Estate/Transfer, and Fiduciary tax types. Managing your tax accounts and monitoring the status of balances, filings, payments, and official correspondence is easier than ever before. In addition to these new tax types, HTO also supports, General Excise, Transient Accommodations, Withholding, Use Only, Seller’s Collection, Corporate income, Franchise, Rental Motor Vehicle, County Surcharge, and Public Service Company taxes. Expanded e-Filing — HTO will support additional tax forms, allowing you to enjoy the speed and reliability of e-filing for more return and payment types. Form N-11 (Hawaii Resident Individual Income Tax) — Hawaii residents who file Form N-11 for Individual Income Tax will be able to file using HTO for free. Filing online enables taxpayers to expedite processing. Previously, e-filing of the N-11 was only available through commercial preparers for a fee. Estate & Transfer tax forms (Forms M-6 and M-6A) can now be filed on HTO without signing in. More payments accepted — Payments can be made online, even if the return is filed on paper. Please note that certain electronic funds transfer payments are free and that credit card payments are subject to a fee. You can now pay your Individual Income, Partnership, Estate/Transfer, and Fiduciary taxes on HTO. Consolidated statements of tax debt — Taxpayers who owe back taxes will be sent regular consolidated statements about their debt. Their back taxes may also be sent to the IRS for possible further action. Taxpayers are urged to work with the Department early to avoid this consequence. Individual Income Tax refund offsets — Unpaid amounts taxpayers owe to Child Support Enforcement Agency, IRS, and certain other agencies may be deducted from their Individual Income tax refunds. Additional security measures are being provided to protect you and your identity better. You will be notified when an income tax return is filed with your name and social security number. You will be asked to verify that you filed the tax return within 20 days. This may delay any potential refund until you have completed the return verification. 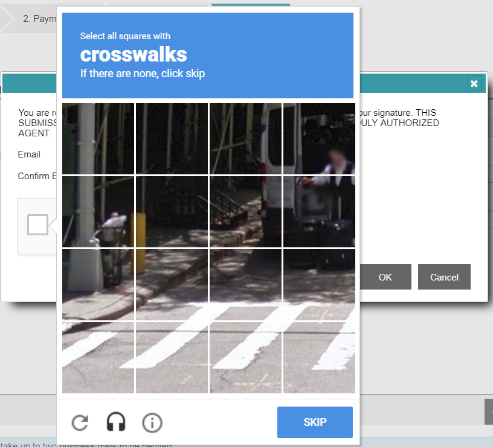 Additional Security — A reCaptcha feature has been included on the webpage to protect against website bots from making submissions on Hawaii Tax Online. This will prevent bots from submitting fraudulent returns.